Dar-Tus takes care of its guests. Christophe and Marie are never far away and are always available should you need them. The welcome is personal and the stay is top-notch. Depending on your needs, we offer a number of services (whether you need a transfer from the airport, meals upon request, a discovery tour of the medina and its craftsmen, a historical and cultural guided visit of Tangiers with recommended places to visit, or help with car or mini bus hire and even babysitting). It is particularly family-friendly, with its family rooms that have a mezzanine, and a children’s area equipped with comic books, games and DVD player. 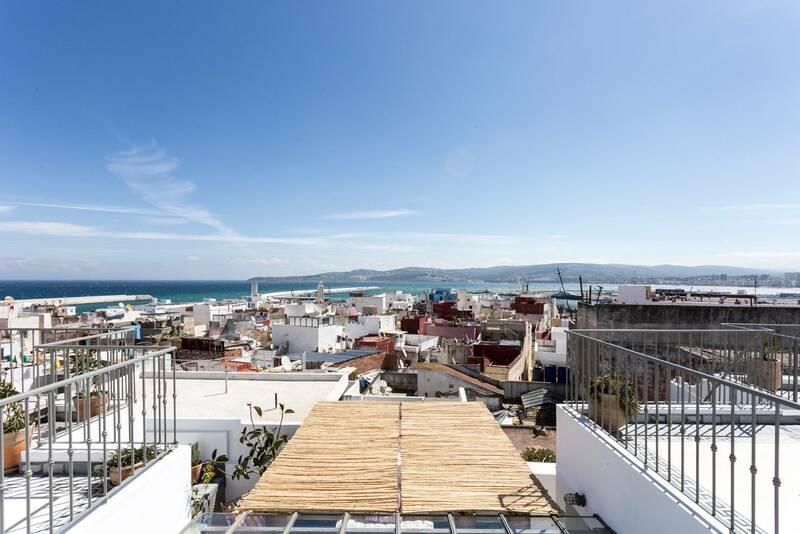 You can listen to music and surf the internet at your own leisure or, if you prefer, relax on the terrace « sol y sombra » and enjoy the panoramic view that overlooks Gibraltar, Tangiers and the nearby Spanish coast.